Vegetarianism, and it’s meager cousin Veganism, is not the answer. Eating more beef is. I would like to be very specific about the second sentence above. Eating more grass fed beef is a partly correct answer. Eating grass fed beef that was produced under a specific management method that goes by various monikers such as high density grazing or holistic planned grazing or mob grazing or cell grazing is the proper answer. It is the only scalable, regenerative, global warming reversing tool that we have. It is cheap, it produces REAL food and it also creates jobs. Let me also say that if the only animal protein available was from factory farms then Vegetarianism or Veganism would be the answer. We live in a time of serious climate instability. Just this week we have had three days of rain that has wreaked havoc with our grape harvest. The grapes are starting to rot on the vine. It does not rain in the Cape in March. At least it is not supposed to. Humans interfere with ecosystems everywhere. Almost always negatively. The concentration of CO2 in our atmosphere is over 400ppm which is a 43% increase since the late 1700’s. This is the primary cause of the climate instability I referred to above. Agriculture, to quote Alan Savory, is the most destructive thing we have. It uses over 70% of the world’s fresh water, is the greatest contributor to greenhouse gas emissions and produces 20 times more soil erosion than food (what comes out of factory farms and from GMO grain fields hardly deserves to be called food). Factory farming (destructive agriculture) of animals emits Carbon into the atmosphere every step of the way. The method of livestock grazing referred to above (regenerative agriculture), which we practice on our farm, reverses the process of Carbon emissions by sequestering Carbon in the soil. If you want to read an in depth discussion on this topic with estimates of how much Carbon can be sequestered globally then click here. There are two ways that Carbon is sequestered (stored) in the soil (which happens to be the safest place for Carbon). First is during plant growth and the second is when the plant is grazed and root shedding or sloughing occurs. We supercharge both these processes on our farm through heavy animal concentration on the pasture followed by a long (6 week) recovery. Because there is an enormous concentration of animals there is an enormous concentration of manure and urine which helps the grass to regrow. Second having a big herd in a small space ensures that all the plants are eaten and hence a lot of root shedding takes place during grazing. Before the V and V’s get too smug just remember that conventional, as opposed to organic, vegetable and fruit production also poisons the earth. Here is a list of the worst fruit and veg you can buy (scroll down). I.e. the ones sprayed with the most chemicals. Furthermore the primary source of protein for V and V’s (I am too lazy to type) is soya, 95% of which is GMO (genetically modified). I don’t want to digress but it behoves the V and V’s to investigate what they are eating. It is not good. I would be amiss not to mention the dietary impact on the human being of these opposing methods of agriculture. Factory farmed meat makes you sick…eventually as Colin Campbell has meticulously documented in the China Study. Chemically/conventionally farmed fruit and vegetables as per the above reference are riddled with pesticides etc. Grass fed meat is good for you. Here are many scientific peer reviewed studies if you are interested. The paragon of all dietary studies, Nutrition and Physical Degeneration by Weston A Price, very clearly showed that animal protein is a critical ingredient in the healthy human diet all over the world. (There were no factory farms in the 8 years that he made his study around the world). Wherever he found people eating healthily the society was healthy. How healthy is our society today? P.S. You can buy/consume our meat and eggs. 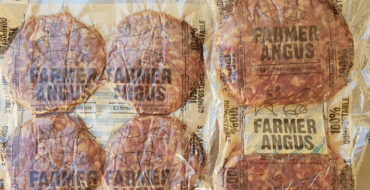 Click on buy meat at the top of this page or if you don’t feel like scrolling up then click here. 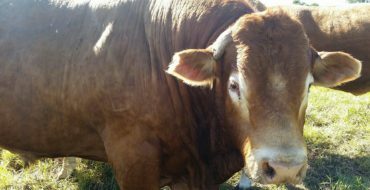 Free choice mineral lick – Balancing our soils biologically as opposed to mechanically.Why we chose to plant our pastures this past week.